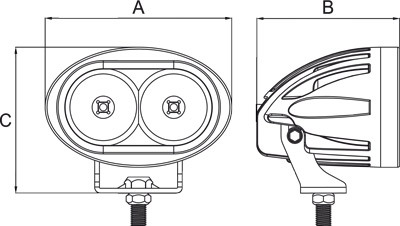 ROADVISION’s RWL92 Series oval work lamps offer uncompromising performance and energy efficiency in a compact, easy to install package. 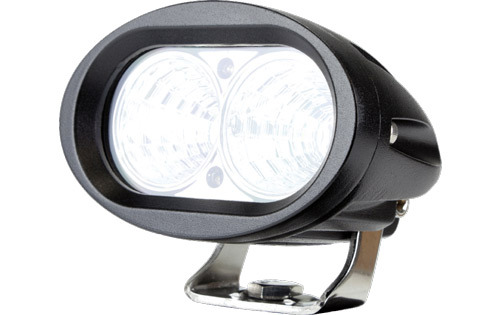 The RWL92 Series features 2 x 10W Cree XML LED’s and is available in either flood, or spot beam. Roadvision’s compact work lamps are perfect for applications where space is limited. Water and dust proof to IP67, the RWL92 Series feature a super durable light weight die-cast housing and polycarbonate lens, allowing for worry free operation in even the toughest conditions.